I just started using Pushbullet (more on that in another post) and it gave me a list of Google devices, one of which I have not used for quite a few months now. 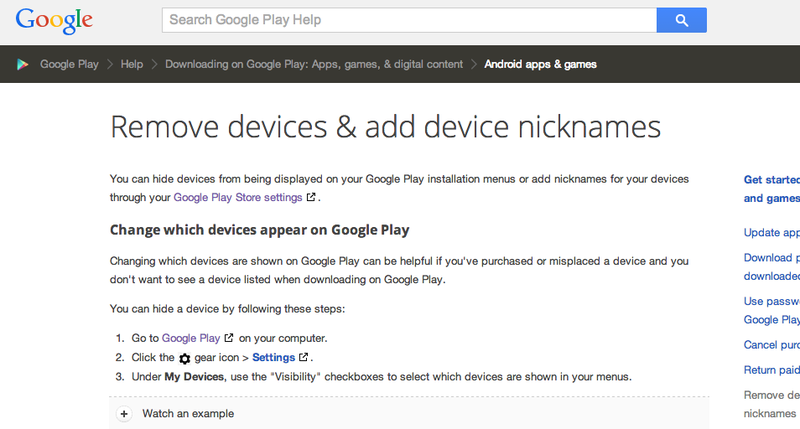 I am not sure if you are aware of how to manage your devices through the Google Play store. You can find all the information and instructions you need to manage your devices in the Play store here.